The first pattern in my Writers Collection pattern series is the Shelley Cowl, a delicate scallop and lace knitting pattern with metal button accents. This cowl is inspired by one of my favorite writers, Mary Shelley. Looking for a quick, classic handmade baby shower gift? 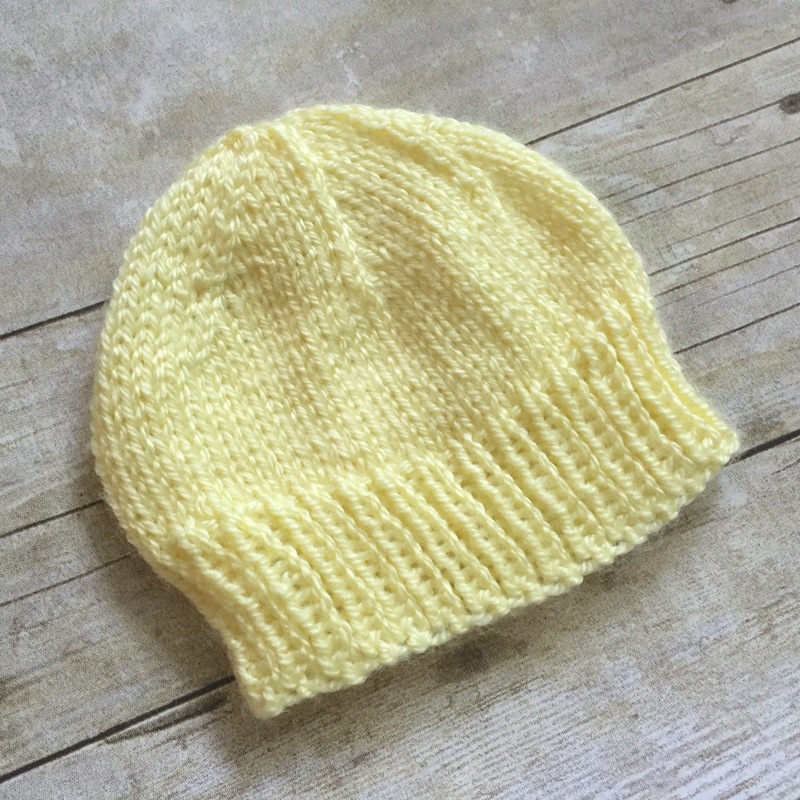 Want an easy knitting pattern to donate to charity? Look no further. The following pattern is one I designed years ago, originally published on another website. I have decided to add it here, as well, where I can update some of the information and give further suggestions for customization. 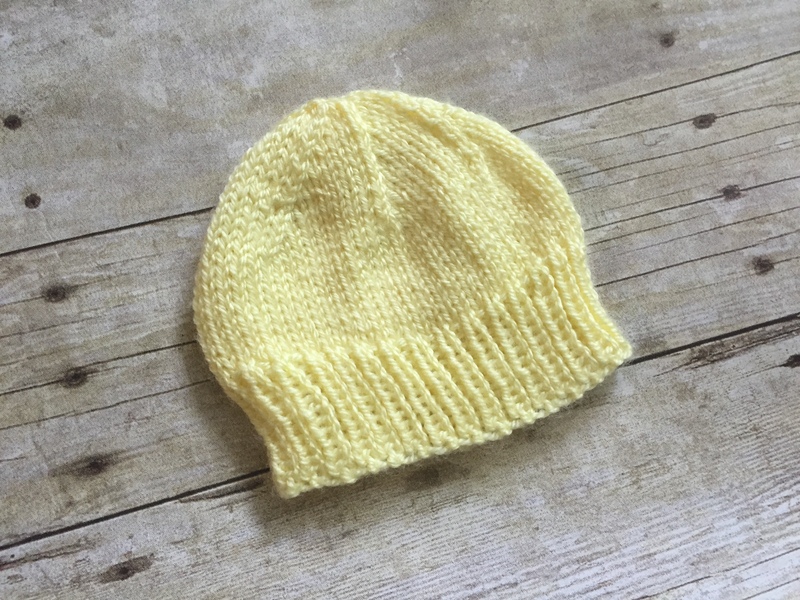 This teeny tiny newborn hat is made with soft acrylic yarn and size US 7 knitting needles. It is a great beginner’s baby knitting project because it is relatively easy but also requires the use of a few more complicated techniques that beginners should learn, such as decreasing stitches. This pattern is written for flat needles, but it can easily be adapted to knitting in the round. Approximately 18 stitches and 24 st st rows = 4 inches. Cut the yarn, leaving a long tail. Using the yarn needle, draw the yarn through the remaining stitches on the needle. Pull tightly and secure the yarn. Sew the back seam of the hat with the right sides facing. This is called mattress stitch, which you can learn here. Sew in the loose ends. 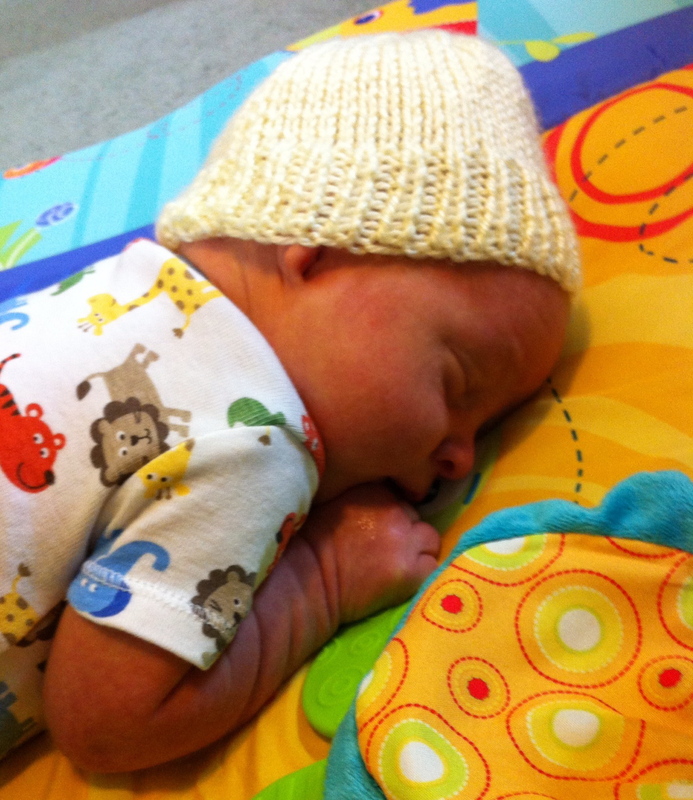 For a neat variation on the newborn hat, consider making the brim in a different color than the rest of the hat. To do so, simply change to a new color of yarn after row 10. Try making the cuff a contrasting color to the rest of the hat for a funky look, or simply make the cuff a neutral color, such as white or grey, and then make the rest of the hat in a more vibrant color. Another option is to add a pom-pom to the top. For a larger hat, use size 8 knitting needles. 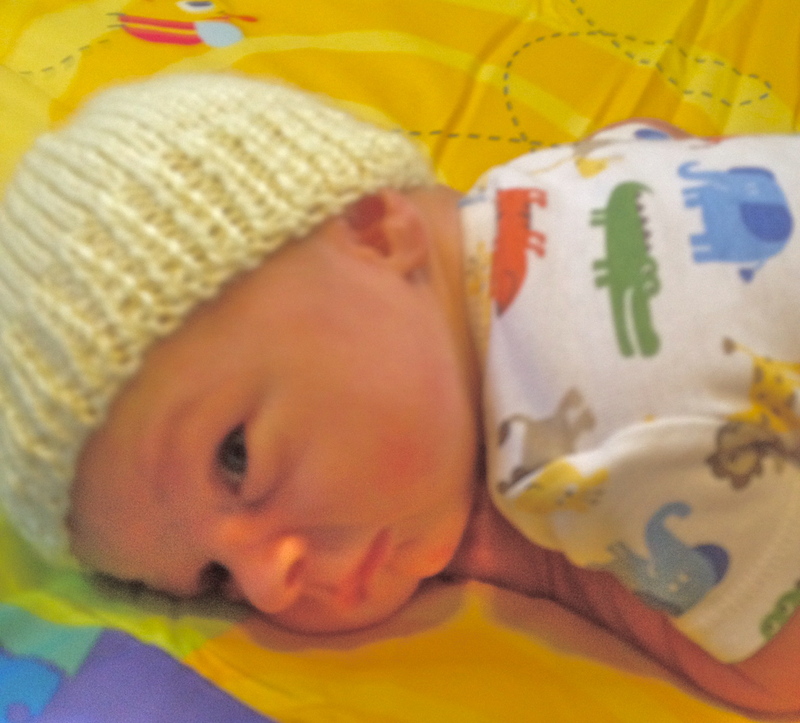 The number of cast on stitches may also be increased to fit a larger baby’s head. Keep in mind, however, that the number of stitches cast on are a multiple of 6. Likewise, if increasing the width of the hat, it may also be necessary to increase the length. If so, simply add a few additional rows of stockinette stitch after row 24 before the decreasing begins.